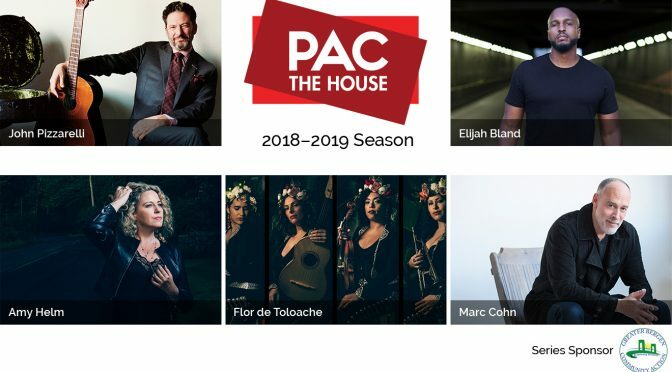 The Hackensack Main Street Business Alliance and the City of Hackensack are proud and excited to announce the return of the “PAC The House” at the Hackensack Performing Arts Center (HACPAC). This is the second season of the event, set to include John Pizzarelli, Elijah Bland, Amy Helm, Flor De Toloache and Marc Cohn. On Friday, October 5th, John Pizzarelli, a Paterson Native, starts the series off. Pizzarelli has over 20 solo albums, and has also performed on songs by Paul McCartney, James Taylor and Rosemary Clooney. In the recent years, he’s toured North America, South America, Asia and Europe, performing shows centered on Frank Sinatra’s centennial, the songs of Johnny Mercer, Paul McCartney and Nat King Cole. Elijah Bland is next, on Saturday, November 3rd. Bland is a self taught musician, who began playing the piano at 5 years old. He found his own voice, which led him to become an independent recording artist. Bland has performed at B.B. King Blues Club, SOB’s, 54 Below, New Jersey Performing Arts Center (NJPAC), and DC’s historic Howard Theater with artists like Stanley Clarke, Yolanda Adams, Lenny Williams and George Duke. On Saturday, February 2nd, Amy Helm takes the stage. Amy is a singer-songwriter who served in her father Levon Helm’s Midnight Ramble Band, as a backing musician. Amy is currently about to release her second solo album, “This Too Shall Light”, on Sept. 21 and tours year-round. Finally, on Saturday, April 6th, Grammy-winner Marc Cohn closes out this year’s “PAC The House” series. The singer-songwriter hit the music scene in the 90s when his debut album went Platinum. His most recent work, “Careful What You Dream: Lost Songs and Rarities,” was released in 2016 and he has toured recently with Michael McDonald. This event is sure to include some first-class entertainment that you do not want to miss! Tickets are on sale now. 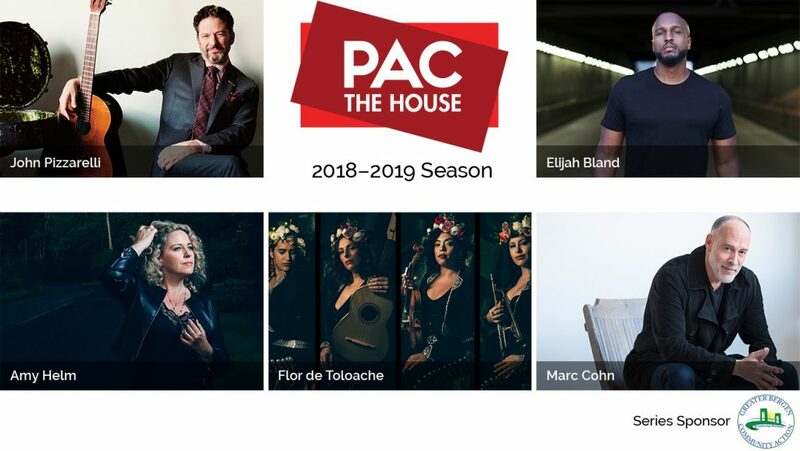 Get ready to see these artists “PAC the House”!